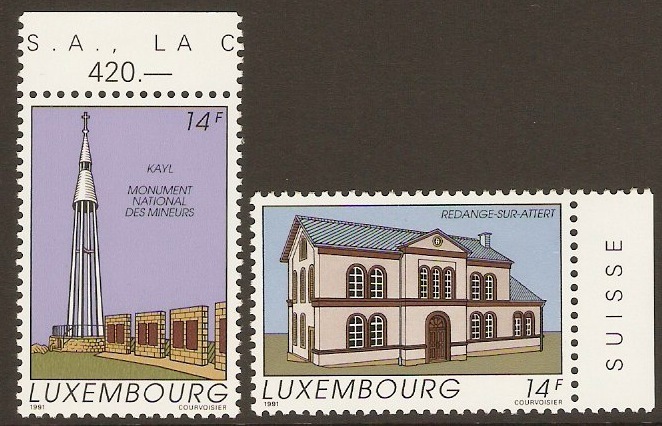 Luxembourg 1991 Tourism Set. SG1294-SG1295. Unmounted mint 1991 Tourism Set. SG1294-SG1295. 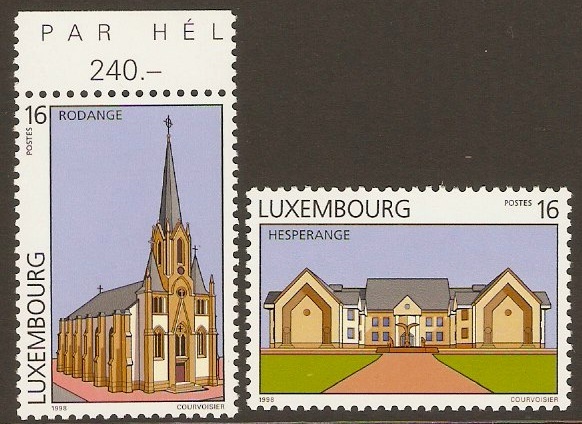 Luxembourg 1992 Tourism Set. SG1311-SG1312. Unmounted mint 1992 Tourism Set. SG1311-SG1312. 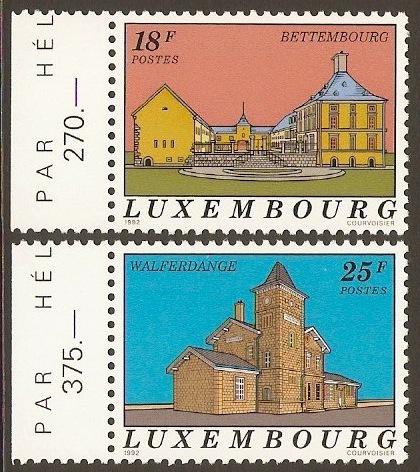 Luxembourg 1993 Tourism Set. SG1350-SG1351. Unmounted mint 1993 Tourism Set. SG1350-SG1351. 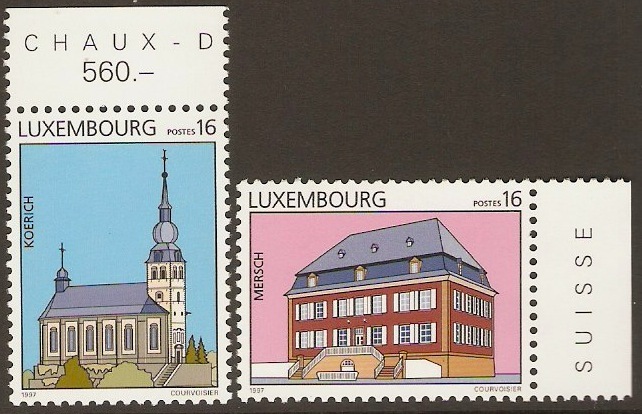 Luxembourg 1995 Tourism Set. SG1402-SG1403. Unmounted mint 1995 Tourism Set. SG1402-SG1403. 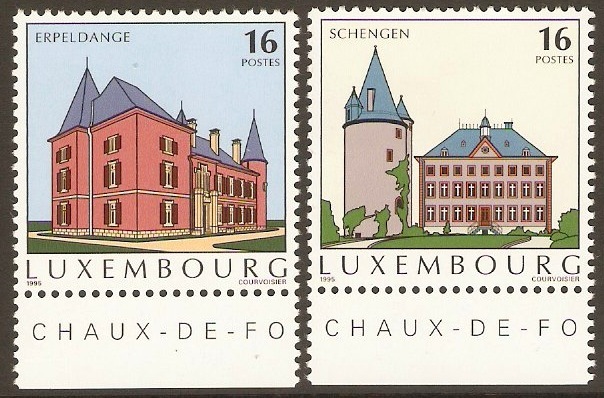 Luxembourg 1997 Tourism Set. SG1437-SG1438. Unmounted mint 1997 Tourism Set. SG1437-SG1438. 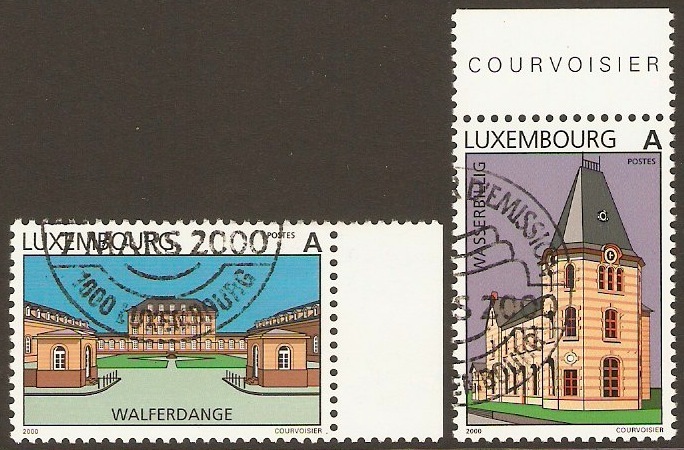 Luxembourg 1998 Tourism Set. SG1463-SG1464. Unmounted mint 1998 Tourism Set. SG1463-SG1464. Luxembourg 2000 Tourism Set. SG1520-SG1521. Unused 2000 Tourism Set. SG1520-SG1521. Philatelic Bureau Cancellation. Full gum.